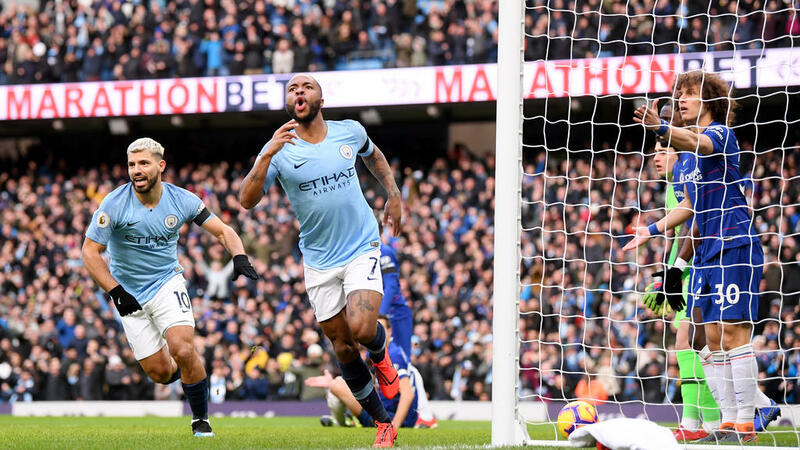 Pep Guardiola hailed Manchester City's "incredible week" after they smashed Chelsea 6-0 on Sunday to return to the top of the Premier League on goal difference. Man-of-the-match Sergio Aguero scored a hat-trick, curling a superb shot into the top corner in the 13th minute before poaching his second and City's third six minutes later. He scored his third with a second-half penalty. "Incredible week, incredible game," Guardiola told the BBC. "We are lucky to score three from the first four actions. After 3-0 they were much better than us and after 5-0 it was not easy for them." "To score six against Chelsea and the way we played, we had so much attention. We did it, it's an incredible compliment to the players, they are outstanding," he added. Guardiola also paid tribute to City's all-time record goalscorer Aguero. "I have said many times, Sergio scores every single season a lot of goals. I admire these kind of players, the consistency. Young players come but some stay for a long time, that is fantastic." Raheem Sterling, who scored two goals in the rout at the Etihad Stadium, said Aguero should be "cherished". "It was a terrific performance from the team -- the manager set us up and got us ready for the game," Sterling told Sky Sports. "Sergio is a player we depend on. You saw with his first strike putting the ball in the top corner -- you have to cherish players like that." Man-of-the-match Aguero, speaking about a glaring first-half miss, told Sky Sports: "I don't know, sometimes it happens. The next one I scored. The important thing is to get the ball and for the team to win." On equalling Alan Shearer's record of 11 Premier League hat-tricks, he added: "I have to continue the same way, but it's important to win."